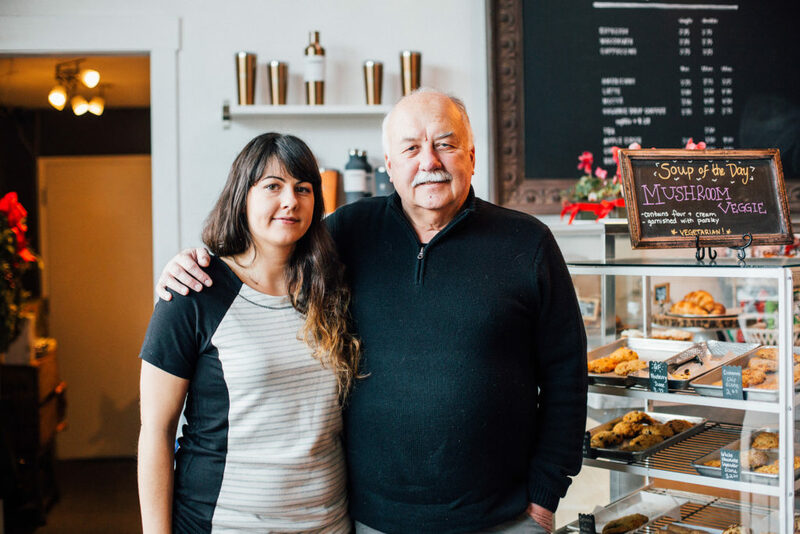 When Yvette and John Bilanko opened a tiny espresso bar in a Chicago suburb in 1991, their customers wanted more — “you have coffee, you need scones,” John remembers the customers suggesting. It was good timing, too. Yvette had just traveled to a trade show in the middle of winter and met three food science graduate students from the University of Illinois who had developed all-natural, easy to bake scone mixes. The couple teamed up with the students, and started baking the scones at their shop. Most of their employees were high school and college students, and the mixes were simple enough for non-professional bakers. The scones were a hit. The family signed a lease for their current location on Delaware Avenue in 2008. The new space provided a larger warehouse, and room for a cafe, something they hadn’t had since almost 20 years ago in Chicago. Cafe Ivéta focuses on “simple, fresh food, without pretense” to pair with its pastries and coffee. Its Westside location, although slightly hidden in the industrial area, is bustling. 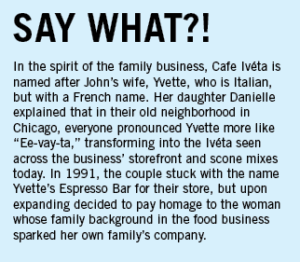 It’s a feeling that will serve the family well as they plan their next business venture, Cafe Ivéta’s second location in the restaurant space under the Graduate Student Commons (GSC) in Quarry Plaza. Last month, GSC and John Bilanko agreed to a four-year, six-month lease for the on-campus space. The goal is set to be open this quarter, said GSC business and building manager Rachel Neuman. The space has been empty since June, when Joe’s Pizzas and Subs requested a five-year lease extension and didn’t accept the governance board’s offer for a three-year extension. Joe’s had been the vendor for the GSC space since 2003. Cafe Ivéta’s menu will feature breakfast, lunch and dinner options, including sandwiches, soups and a salad bar, as well as beer, cider and wine options. 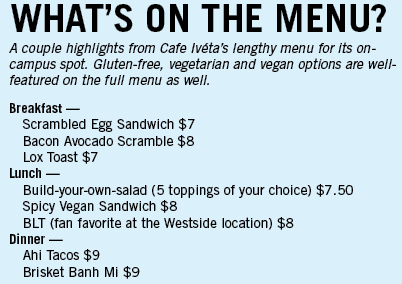 Cafe Ivéta will be open from 9 a.m. to 10 p.m. on weekdays, 11 a.m. to 4 p.m. on Saturday and closed Sunday. Neuman said the cafe meets all the criteria gathered from a campus-wide survey last year, which showed most student were interested in healthy meals for under $10. Cafe Ivéta has been interested in moving on campus since 2012, when it was a finalist with Hoffman’s Bistro to move into the Global Village Cafe (GVC) in McHenry Library. This time around, John was already bidding on the GSC space when he heard that GVC was looking for a vendor again. GSC raised its initial budget for equipment and repairs from $95,000 to $225,000 during lease negotiations. Cafe Ivéta requested a 10-year lease while the governance board was aiming for a three-year term. They settled on a lease expiring at the end of the 2020 school year, with stipulations that the governance board fund major appliances and repairs, including a reach-in freezer, multiple refrigeration and oven units and a dishwasher. Neuman and the governance board look at the increased budget as an investment. Natasha Dudek, president of the board, said its finance committee is working on a long-term plan to allocate money back from its income to the plant reserve, or savings allocated for building maintenance. With a focus on sustainability and energy-efficient appliances, the board was previously awarded $25,000 from the Carbon Fund, and have re-applied for about $50,000 of additional grants from the fund to subsidize the board’s increased costs. GSC is also looking to the Student Fee Advisory Committee as a funding source. Through sustainable practices and student involvement John Bilanko strives to make his cafe part of the campus community, just like he’s done with the off-campus location. Whether that be collaborating with the art department to feature student artwork on the walls or with the Center for Agroecology and Sustainable Food Systems (CASFS) Farm to source produce, he’s looking at different avenues to work with students and on-campus programs. vendors to 40 percent “real food” by 2020. Owings and the students will meet with Cafe Ivéta to discuss the possibility of on-campus food sourcing, just like other non-dining hall vendors like the Cowell and Stevenson cafes that receive produce from the Farm. One of John’s four daughters, Danielle, will manage the on-campus location. 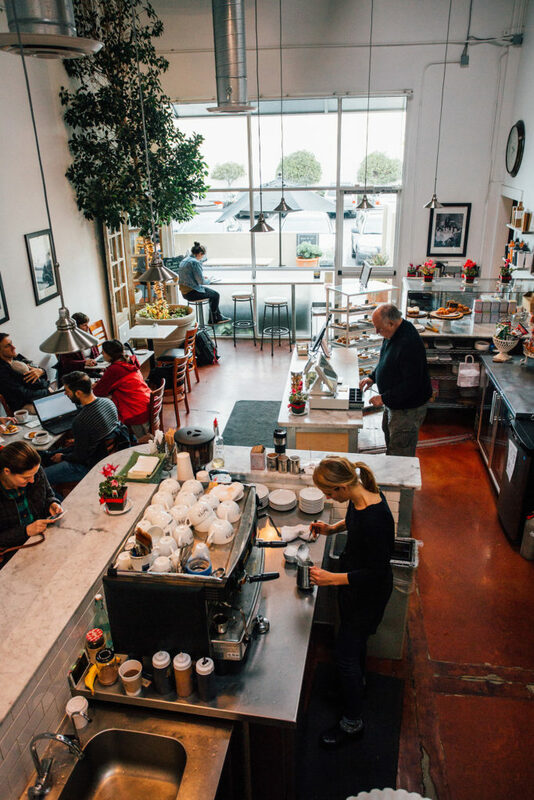 She has worked for the family business for about 10 years, particularly for the transformation of the Ivéta Gourmet warehouse in Santa Cruz into a cafe-warehouse hybrid. Danielle said the cafe will be open by March 1, with the goal to possibly open its doors even sooner. John and Danielle are currently hiring students to work at the new location.